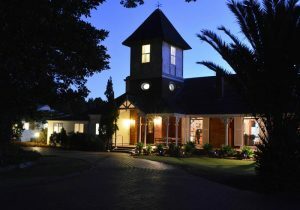 Threadgold Architecture has been servicing heritage building owners in the Perth & Busselton regions since 1994 and offers a broad range of heritage advice and professional service, including; heritage assessments, conservation management documents, interpretation, heritage asset management and Heritage Council grant applications. The practice believes the key objectives for conservation and heritage planning should be development of culturally significant heritage places and the understanding and guidance of the future building maintenance. The Burra Charter informs the methodology used by our practice to prepare conservation and heritage plans as well as the relevant State Heritage Office brief. When deemed fit, our practice collaborates with professional historians, structural engineers and landscape architects to ensure a comprehensive understanding of a place. It is vital to understand the history of a site when embarking on building works to a heritage place. The first step is to establish the relevant layers of significance in the history of a place and as the State Heritage Office works with clearly understood parameters – guess work is not an option in heritage matters. Our practice seeks to understand a place’s significance to inform the design decisions of a building development. Site inspections are the starting point to gain an overview of the built environment which is carried out concurrently with an investigation of documentary sources. Working in conjunction with the State Heritage Office, our practice engages specialist sub-consultants such as historians, archaeologists and heritage engineers as required. This thorough understanding of a place, informs the opportunities for complimentary building development or building adaption. Interesting building outcomes can be achieved when the heritage significance is incorporated at the inception of the project and the conceptual building design. Our heritage investigations include research into original finishes, material types, composition of traditional materials and decay processes – this research in turn informs the most appropriate repair methods. Refer to the practice’s listing on The State Heritage Office’s Incontact Register for further detail.